Feature of Nokia 8.1, Price and Specifications This device is not new, only the name has been changed, because this smartphone was already launched. HMD Global, an event in Dubai, has launched Nokia 8.1. 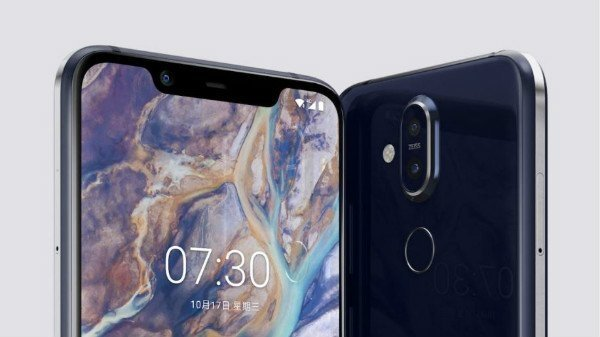 This is the global variant of Nokia X7. Speaking of the specifications of Nokia 8.1, it has a 6.18 inch full HD display. Aspect ratio is 18.7: 9 and screen to body ratio is 86.5%. There is a 2.5D curved glass on it. Croning gorilla glass 2 has been given for protection.This device has the Octakart Qualcomm Snapdragon 710 processor. Its body 6000 series is made of aluminum. The price of this smartphone is 399 euros (about Rs 31,912). In Dubai this 1,499 will be found in Durham. According to the company, it will be found in the Middle East first. 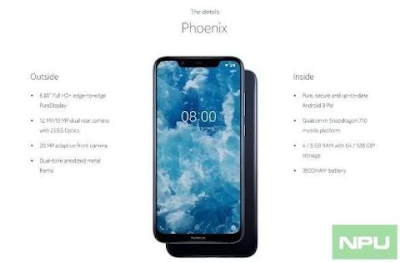 This smartphone will also be launched in India soon. This smartphone will be available in Blue / Silver, Steel / Copper and Iron / Steel Dual Color variants. Android 9.0 Pie (Android One) is given in Nokia 8.1. This smartphone has body-to-tone finishes and offers classic Nokia design. Talking about the photo photography department, the dual-rear camera setup has been setup in the Nokia 8.1. One camera is of 12 megapixels. It has 1.4 microns pixels, dual autofocus and aperture f / 1.8. The second camera is of 13 megapixels. For Selfie, it has only one camera which is 20 megapixels. This smartphone has a battery of 3,500mAh and it supports 18W Fast Charging. For connectivity it has 4G VoLTE, WiFi, Bluetooth v5.0, GPS and USB Type C port. Apart from this, all the standard connectivity features are present. The company claims that the Nokia 8.1 battery will back up to 2 days.